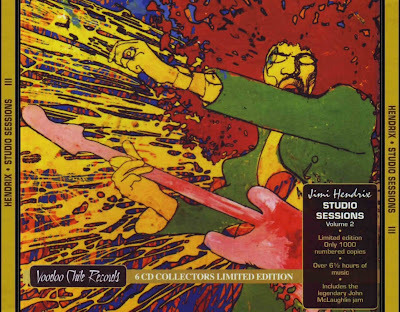 Second box set release from the Jimi Hendrix studio sessions release featuring six discs of audio from Jimi Hendrix's various studio sessions between February 11 and November 14, 1969. McCarty , Dave Holland, and Buddy Miles. Disc 2 includes audio from the legendary March 25 John McLaughlin jam session, April 1 and 3 Jimi Hendrix Experience sessions, April 14 session, and April 22 Mannish Boy session with Billy Cox and Buddy Miles. 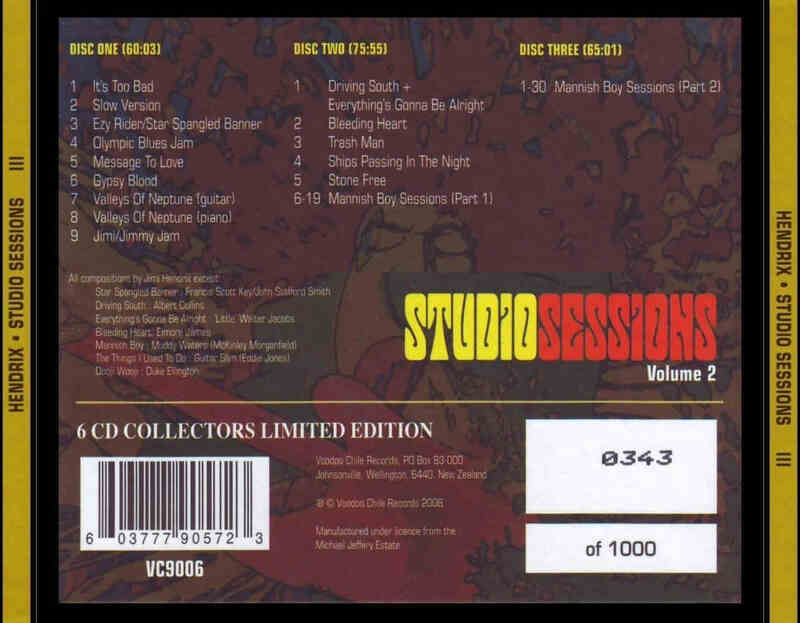 Disc 3 includes more audio from the Mannish Boy session. Disc 4 includes audio from the April 24 Billy Cox and Rocky Isaac session, May 7 Stephen Stills and Johnny Winter session, May 14 Billy Cox and Mitch Mitchell session, and May 21 recording session. 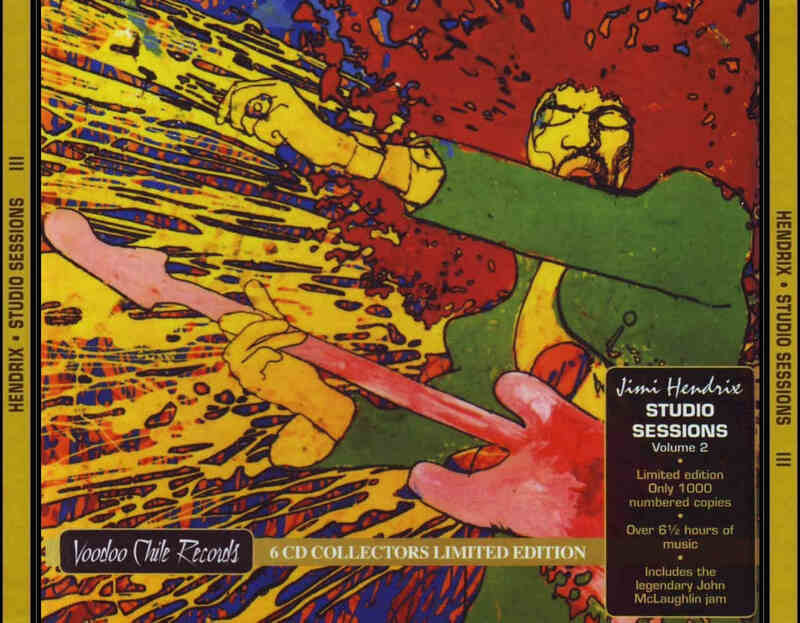 Disc 5 includes audio from teh May 22 session, various April and May Jimi Hendrix solo recordings, and audio from the August 28 and 29 Hit Factory sessions. 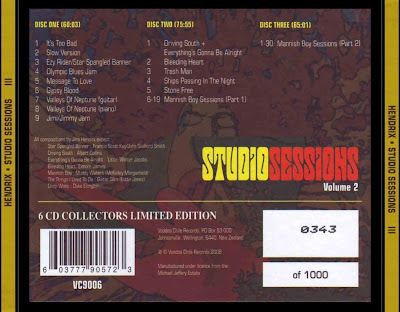 Disc 6 includes audio from the September 6 Hit Factory session, September 15, 24, and 25 Record Plant sessions, September 30 session with Stephen Stills, John Sebastian, and Buddy Miles session, and audio from the November 14 Billy Cox and Buddy Miles session. Files: 88. :: Size: 2.31 GB (flac). A must have for any Hendrix collector!